Sharon is delighted with her purple screen door! The light blue on the ceiling is being auditioned for the job. Not sure that's the color we'll use, but it's a blue our painter said is traditionally used for porch ceilings. Unfortunately, this is the closest thing we have to a before picture. We obviously never got around to taking a picture of the front door. 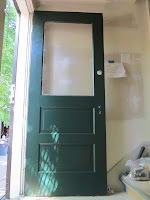 The rest of the doors are being painted the dark green. This is the side door that Sharon and Jeff stripped the weekend before last. The details look much better. 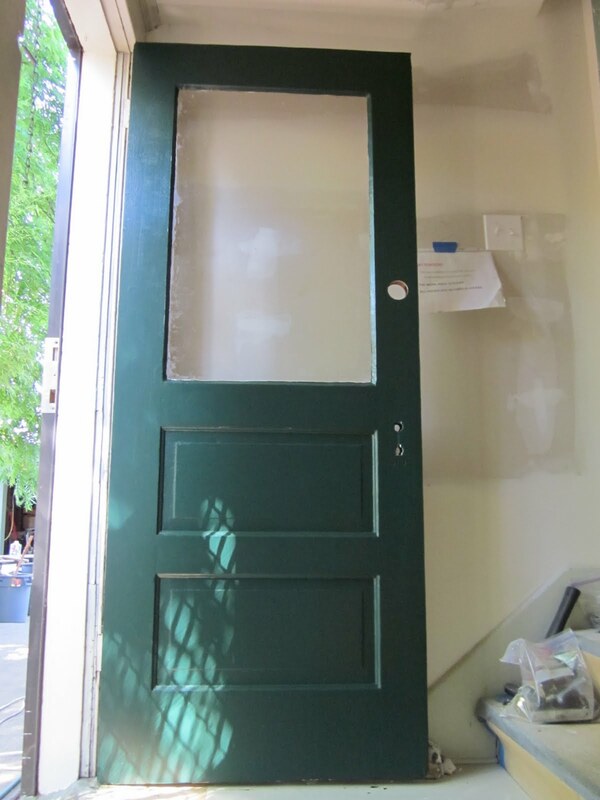 Staining your front door really adds flavor to your screen door. I love it when the screen door stands out. I love the way yours looks. Nice work.